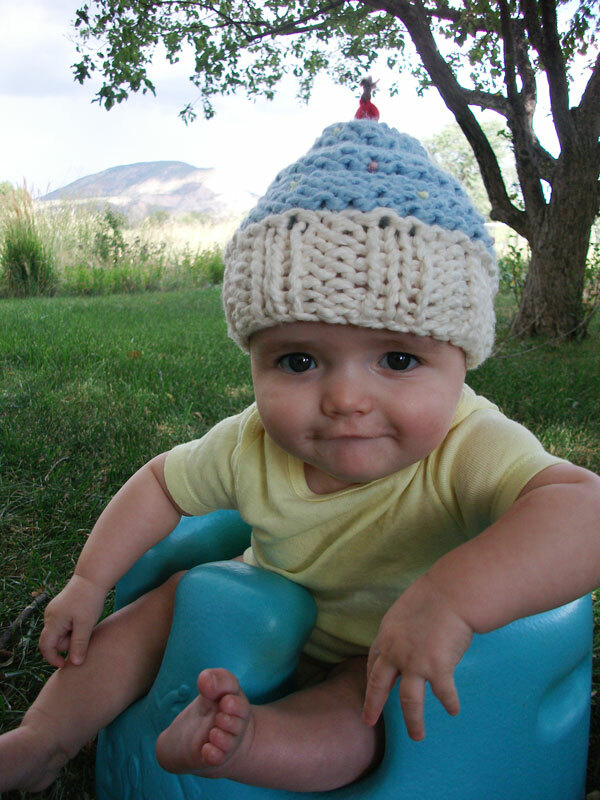 Back when I first started designing knit and crochet patterns in 2011, Charlie, my first child, was my sweet little cupcake. Looking back at that time now, it feels like I had endless amounts of time to dote on my little cupcake. Which is why I started making all sorts of cute hats in the first place, hehe. 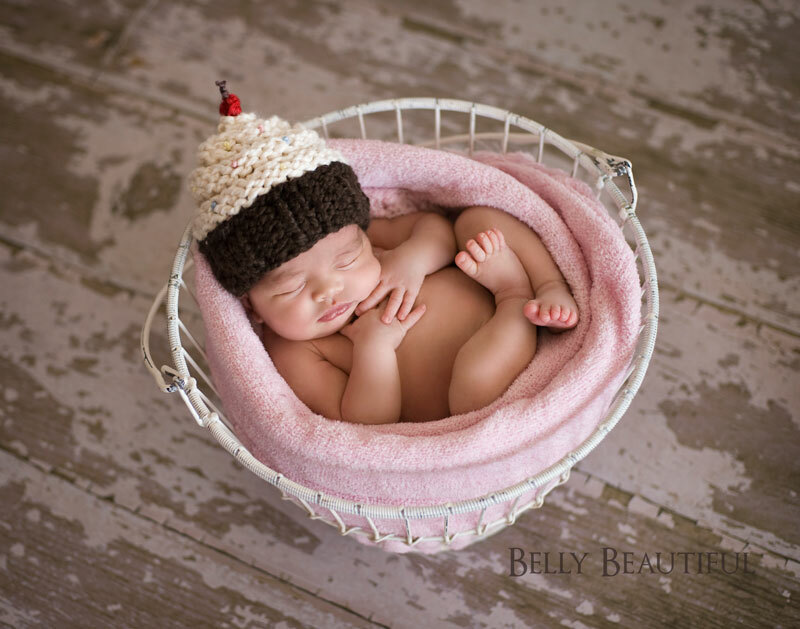 One of my very first designs was this cute knitted cupcake hat pattern. Charlie was such a good sport modeling all of my hats….even if some of them were a bit girly. 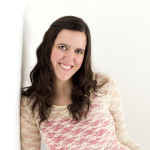 I’ve been lucky to have such adorable models at my disposal! Since then, this pattern has been a timeless favorite in all of my shops. Every mother loves their cupcake. This free cupcake hat knitting pattern features super bulky (6) weight making it a quick knit for any skill level capable of working in the round. If topping with a cherry, skip Round 24. If not topping with a cherry don’t skip. Do not bind off. Cut approx. 7 inch tail. Using yarn needle, remove all sts from DPNs or magic loop, as if to purl. Pull tail through sts to cinch the top of hat. Manipulate the top to look like a dab of frosting. Using yarn needle, pull tail through to the inside of the hat. Tie a knot and weave in ends. Do not bind off. If topping with a cherry: Cut approx. 7 inch tail. Using yarn needle, remove all sts from DPNs or magic loop, as if to purl. Pull tail through sts to cinch the top of hat. Using yarn needle, pull tail through to the inside of the hat. Tie a knot and weave in ends. For cherry, take approx 4 ft. of red yarn, doubled over. Tie a knot in the middle. Working around this knot, continue to tie knots until you have a circular ball of yarn the size of a cherry. Using yarn needle, secure to the top of the hat. Also using your needle, thread a small piece of brown yarn through the top piece of yarn on the cherry. Tie knots into the brown yarn so it looks like a stem. Cut off ends. For sprinkles, use any scrap yarn you may have lying around. Cut approx 7 inch piece and tie a knot in the middle. If the yarn is worsted weight or smaller, tie a second knot. Using your yarn needle, attach to the cupcake and tie on the inside of the hat. If topping with a cherry, skip Round 25. If not topping with a cherry don’t skip. If topping with a cherry, skip Round 28. If not topping with a cherry don’t skip. If topping with a cherry, skip Round 31. If not topping with a cherry don’t skip. If topping with a cherry, skip Round 34. If not topping with a cherry don’t skip. Do you have the pattern for knitting this hat with regular yarn rather than bulky. Thanks. Linda. Love the hat bulky also. Hey Linda! I don’t have this pattern for worsted weight, I’m sorry. You could hold two strands of worsted together to make the bulky weight though 🙂 Good luck! I love this pattern! The hat I made looks adorable, but I’m having trouble making the cherry. Would you please explain how to do it in more detail? I just tied a knot multiple times around itself until it was big enough to look like the cherry – sorry to not be more helpful!